At IDEAS 2018, Pakistan displayed a measure of seriousness in developing its defence industry to take on the country’s burgeoning defence needs, especially from a qualitative standpoint. Be it an indigenous fighter, expanding the shipbuilding industry, or advocating original designs for its next-generation armoured vehicle needs, Pakistani officials called for a growth in domestic defence suppliers. In that vein, Pakistan appears to be exploring partnerships with its key overseas suppliers, notably China, Turkey, and Ukraine, to jointly develop and manufacture munitions (as discussed in part-one). Without a doubt, China is poised to play an integral role, if not in developing specific munitions, then in helping the Pakistani industry build the capacity to develop its own programs (see part-two). 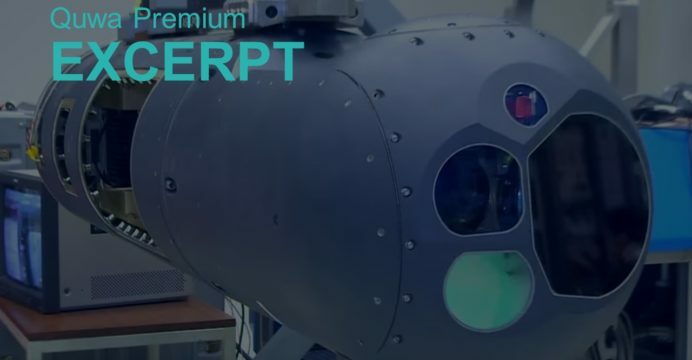 In part-three, Quwa will examine how agreements made with Ukraine and Turkey could result in options for a wide-range of munition systems and their critical inputs, such as propulsion and electronics. Following China, Turkey is now Pakistan’s second-leading supplier of big-ticket weapons. Its notable deals include the sale of 30 Turkish Aerospace T129 ATAK attack helicopters and four MILGEM warships. There are also talks with the Pakistan Navy for the sale of ANKA-S unmanned aerial vehicles (UAV). Considering Turkey’s overt willingness to invite Pakistan to its own marque programs, such as its national fighter program (TF-X), the notion that a collaborative effort emerges would not be surprising. However, the scope and complexity of such partnerships would remain an open question given the fact that Turkey’s industry efforts draw on Western European expertise and technologies. If not supply-side restrictions (by Europe on Pakistan), Pakistan’s fiscal constraints will limit its options.